The first area of concern voiced by practically anyone that I discuss the idea of protection dogs with is safety and rightly so. The news media does a very good job of vilifying certain dog breeds as dangerous simply because they are a specific breed. Movies also do a very good job of creating images of Pit Bull Terriers and Rottweilers being used by drug dealers in their homes. Often for the sake of reducing the number of bites on fleeing suspects, the police have done a fairly good job presenting certain dogs as highly dangerous too. This is not to say that specific breeds don’t require certain considerations when deciding to use one for protection, but let us be careful about buying into the media’s version of things. Unfortunately, many of the dog trainers out there today have bought into these misleading marketing plans. It’s important to find trainers that are actually training and not simply sitting behind a keyboard. With that in mind, let’s consider the most important aspect about dogs when it comes to safety. The question I want to pose is: are dogs, in general, dangerous? First, allow me to remind those who may have forgotten that dogs are predators. That means that naturally, they kill things and eat them. According to the Center for Disease Control (CDC), there are on average about 4.5 million dog bites each year; 885,000 dog bites each year require medical attention; and about 31,000 people undergo reconstructive surgery due to dog bites each year. These numbers sound high and frightening until we consider them in light of the population. Dogs bite 1.45% of the population of America each year; .28% require medical attention; .01% require reconstructive surgery. Why do I bring up these statistics? For the simple reason that I want people to understand that dogs bite. They are predators and people cannot claim that their dog does not bite. At best, you can claim that they have not yet bitten, but that isn’t very reassuring in light of the above statistics. The vast majority of dog bites occur from dogs that have no history of violence or prior bites. What this means for you and me is that we must be responsible dog owners. It does not mean that we shouldn’t own dogs, but it places upon us a certain obligation to ensure that our dogs are safe and under control. Just as the gun owner must be responsible with their firearms, so the dog owner must be responsible for his dog. It’s not required that every gun owner take training courses, but it is highly recommended. Law Enforcement and Military personal are proficient with their weapons because they have been trained to be proficient. There are many terrific firearms training courses available and you should avail yourself to one of them if you are going to own firearms, especially for defensive purposes. Dogs are no different. This really applies to any dog, whether trained for protection or not. It’s not required that you get training for and with your dog, but it is highly recommended and you are taking a great risk if you fail to do so. I can say with assurance that if you train with either Dunetos K-9 or Baden K-9, you’ll leave with a stabile, confident dog capable of assisting you in the defense of yourself and your family. We’ll be discussing training for the actual act of protection in more detail in the next article. Socializing your dog refers to exposing your dog to various situations with other people, animals, and distractions such that they see these things as normal and non-threatening. This is actually one of the CDC’s recommendations for avoiding errant dog bites. All dogs should be socialized. 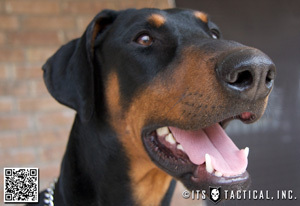 If you are going to use your dog for home protection, you need to ask yourself if you want your dog to be friendly with other people in your home. Remember, according to the article on home invasions, people we know and are comfortable with commit 11% of home invasions. However, if you choose not to socialize your dog around strangers in your home, then you’ll have a greater responsibility to maintain control of that dog when there are people present. Stabilization training will be even more important for you. Keep in mind that the intent of socialization is to familiarize your dog with these surroundings. You should not feel obligated to allow everyone who sees your dog to pet it, and in fact, I recommend that you do not allow strangers to pet your dog, although it is a good idea to allow your dog to be frequently petted and approached by children. If your dog is familiar with children approaching and doing what children do, you can have much greater assurance that there will be no errant bites on these little ones. However, as a general rule, you should never allow your children to approach strange dogs. Children are the primary victims of dog bites, and they are bitten primarily in the face. A socialized dog is much more pleasant to be around and much safer for your family, guests and those you may interact with outside your home with your dog at your side. Baden K-9 and Dunetos K-9 focus very heavily on training a dog to be stable. Stabilizing a dog is part of the training process in which you train to have control and for the dog to obey all commands under great stress and various environments. Stabilization builds confidence in the dog and will help to train him when it is ok to do certain things and when he must not do other things. If you are going to have a protection dog, then you must train him appropriately. One of the things that you will discover if you train with a competent trainer (and sadly most trainers are not competent for protection level training) is that properly training a protection dog actually makes them safer than if they had never bitten. While stabilization training applies to much more than simply protection work, it is absolutely essential if you are going to have a protection dog. If your dog is stable, you will have control. You will also be able to command them to leave certain things and to attack certain things at your discretion. 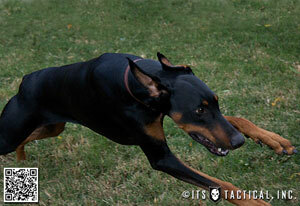 I highly recommend you find a competent trainer to start your dog on protection and work with stabilization. Currently I only know of two facilities conducting stabilization. 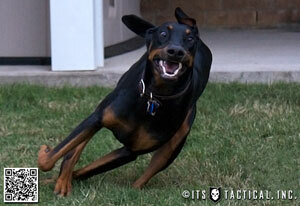 Both Dunetos K-9 and Baden K-9 use the same philosophy and techniques to train dogs in stabilization. 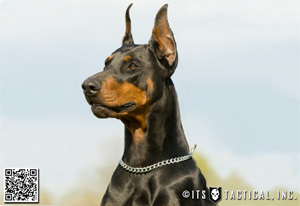 Baden K-9 has developed and refined this process over 30 years of dog training. If you can travel or are in the North East, I highly recommend you contact them. If you can’t travel, you can contact Dunteos K-9 to have a mobile training team come to you. It is important to understand that it’s easy to make a dog bite. It is much harder and takes more time to socialize and stabilize that dog. No dog is going to be valuable to you under stress if they are not stabilized and socialized. These two capabilities go hand-in-hand. So back to the original question: are protection dogs safe? They are as safe as you make them, and they are much safer than untrained dogs. Don’t deceive yourself into believing that an untrained dog will not bite someone. They often do. If you are going to train a protection dog, ensure that you train with someone that is capable of training stabilization. 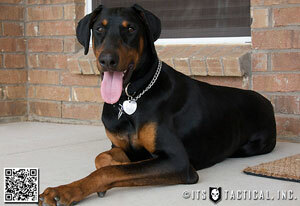 This will ensure that you have a safe, controlled dog that is capable of any task you may require of him. Joel is the founder and head trainer of Dunetos K-9, a training facility and equipment manufacturer specializing in Tactical and standard K-9 equipment. He’s been training and handling dogs for over 10 years and works closely with Baden K-9, a highly respected training facility in Ontario, Canada. Joel has served in the United States Army for 11 years as a Military Police Officer deploying to the Pentagon days after the 9/11 attack, Afghanistan (2003), Iraq (2007) and is currently serving in Bogota, Colombia (2011) in the War on Drugs. Joel has specialized in integrating dogs into every aspect of life, from personal obedience and protection to specialized military application. Dogs of War: Did You Hear Something?